Photos courtesy of Andrews McMeel Publishing, 2011. In a large sauté pan, melt the ghee (or butter) over medium heat and sauté the onion for about 10 minutes, or until lightly browned. Add the ginger and cook for 2 minutes longer. Transfer the mixture to a 7-quart slow cooker and add the tomatoes, cumin, mustard seed, and cinnamon. Cover and cook on LOW for about 4 hours longer. 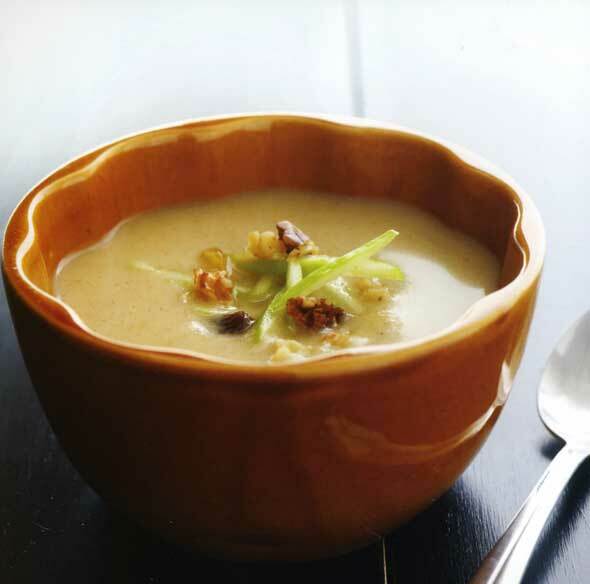 Just before serving, use a garlic press to mince the garlic into the soup, and add the salt to taste. Using a handheld immersion blender, puree the soup to the desired texture. I like to leave some texture. Ladle the soup in to bowls. Garnish with cilantro, coconut, and a sprinkling of chile. Place the butter and apples in a 7-quart slow cooker. Cover and cook on LOW for 2 to 3 hours, until the apples are soft and the juice nice and browned. Many any large pieces of apple, then add the water, spices, and raisins and continue cooking for 2 hours longer. 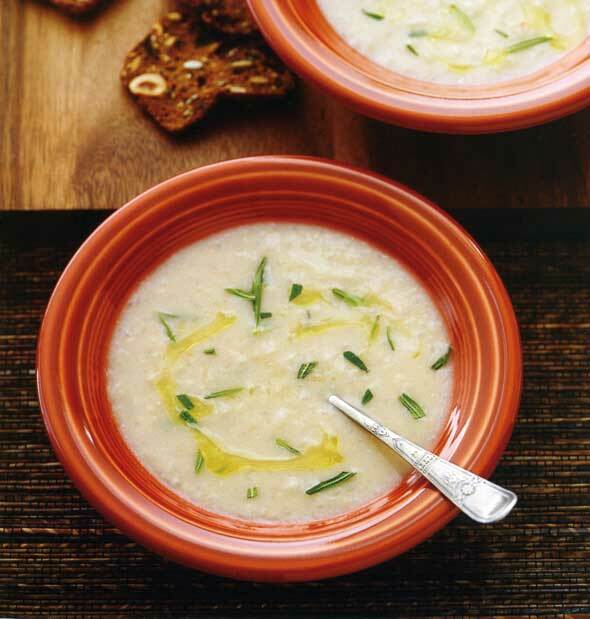 To serve, ladle the soup in to the bowls and top with the yogurt. Serves 4 to 6. Rinse the beans thoroughly and place them in a 7-quart slow cooker along with the water, onion, garlic, and bay leaf. Cover and cook on LOW for about 8 hours, or until the beans are nice and tender. Remove the bay leaf. Using a handheld immersion blender, puree the remaining ingredients to the desired texture. Add the salt to taste. Ladle the soup into bowls. Drizzle with the olive oil, sprinkle with rosemary, and serve. Serves 4 to 6.